Vietnam (Việt Nam), the S-shaped country located in Southeast Asia, Vietnam has still a way to go before becoming a famous destination in the world. On the Huffington Post of America, the female journalist Marilyn Downing has shared her experienced on the best things to do in Vietnam. According to her, Vietnam is one of her favorite destinations in Asia due to a lot of beautiful scenes, friendly people and a very special history. Today, Vietnamese people have no longer nourished the hatred of Americans due to the bombing and massacre many decades ago. In fact, in the trend of globalization, they are receiving a lot of values of American culture, such as pop music, movies, and so on. If you are interested in visiting this beautiful country, then you should not skip this list of top 15 things to do in Vietnam. Follow guide and you can explore the best of Vietnam. This gulf is considered as a must-visit place for people who love to witness the spectacular natural sceneries of the world. Annually, there are a large number of tourists going to Quang Ninh (Quảng Ninh) province to contemplate many of Halong Bay attractions. Actually, having precipitous nature, most of Halong’s islands are currently almost uninhabited and uninfluenced by the human beings. 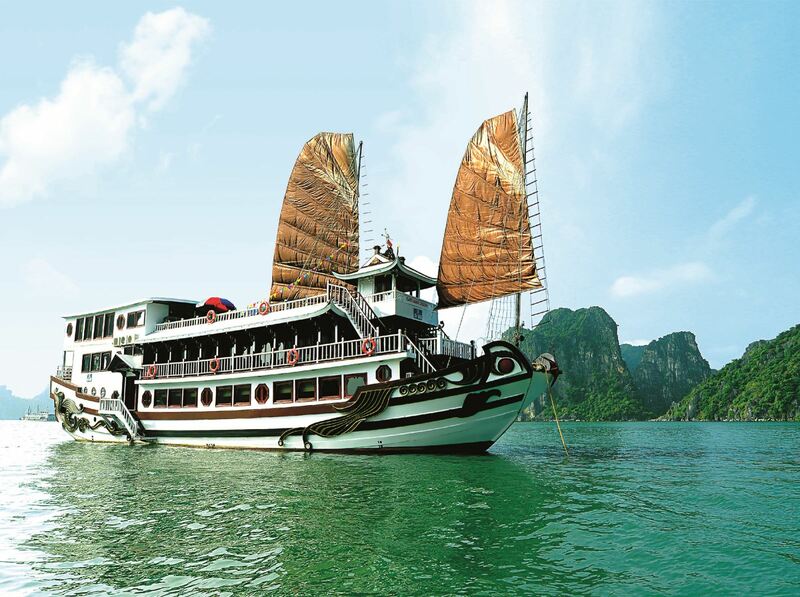 If you take a boat trip in Halong Bay, you will be among a lot of old converted junks. Halong Bay has limestone kart islands which jut drastically from the sea. Here, tourists can land on the islands to explore stalactite caves which are full of mystery or visit floating villages of fishermen situated near the island. 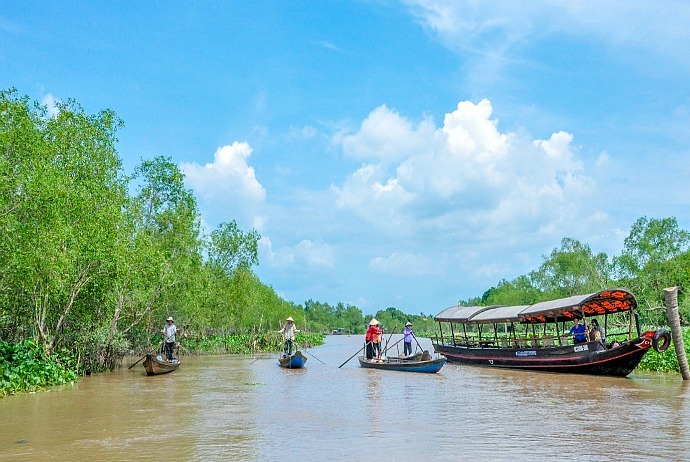 Another thing to do in Vietnam is to spend time traveling on the waterway in the Mekong Delta. The panoramic view of the vast rice fields here do not change over time. Here, you can find the images of farmers painstakingly working on their fields or the fishermen drop their fishing nets. Also, you can stop at a house to see how local people make rice paper. If you want to escape the heat of busy cities, you should head to Dalat (Đà Lạt), which is a former colonial hill station, the reminiscent of a French town. The elegant, faded villas are evocative of another era. Colonists from Saigon (Sài Gòn), in the past, headed to Dalat due to its cool climate. The alpine scenery and romantic lakes are magnets towards for a lot of Vietnamese honeymooners. The tourists visiting Vietnam should spend time discovering the culture nuances, unique architecture in the most important ports of Southeast Asia from the 17th to 19th century. This is considered as one of the most rewarding things to do in Vietnam. In the ancient town of Hoi An (Hội An), you can find a lot of tiny shops selling souvenirs, including silk items, ceramics, T-shirts. They are all commonplace yet the most interesting draw is the opportunity to have bespoke clothing which is made local tailors. Con Dao (Côn Đảo) is an island with great natural beauty. 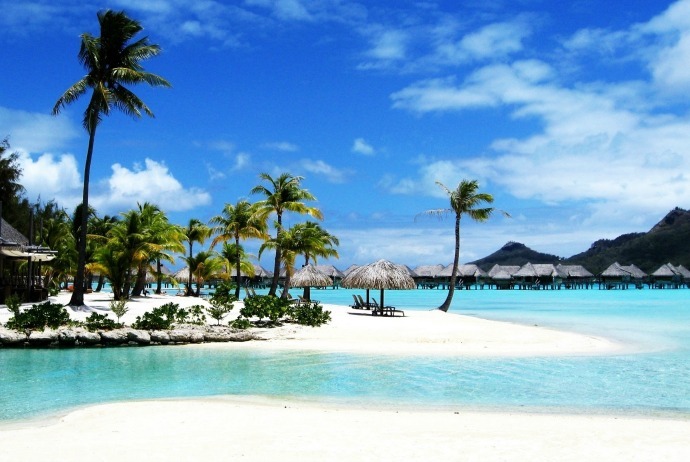 It has spotless white sandy beaches and blue seawater. 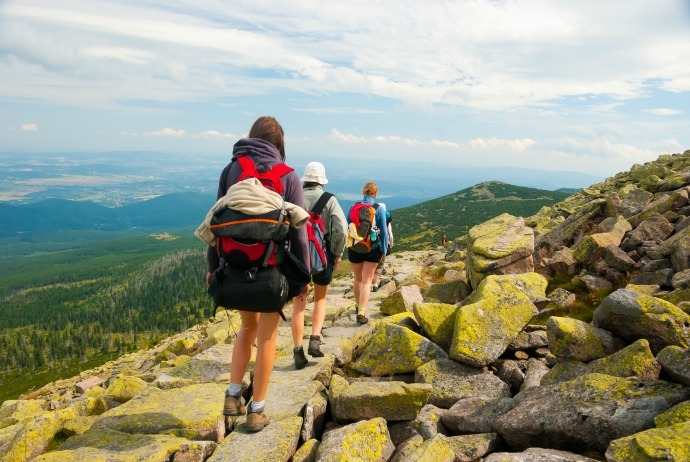 Around Vietnam, there are a large number of long distance hiking trails and a significant infrastructure for tourists who want to take part in guided trekking tours. You can head to the south from Hanoi to go to Cuc Phuong (Cúc Phương) National Park, which is home to a lot of rare species and also a primate rescue centre. Until now, it is over 40 years since the fierce American War finished. Tourists could join in the tours that allow you to go the Ho Chi Minh (Hồ Chí Minh) Trail route and witness tunnels – the most notable ones are those at Cu Chi. Hanoi is the capital city of Vietnam featuring with narrow lanes along with street kitchens, which are both in and around the Old Quarter. Elsewhere, leafy, wide boulevards are the lined by the colonial buildings in the Old Quarter. It does not matter where you are; the most impressive thing about this city is its background noise, which is the buzzing of motorbikes crowding the city. The compact, gritty, bustling atmosphere of this city is exciting. Street food can be seen everywhere, with little tables and chairs. Guests can smell different kinds of food whilst walking through the city. Sapa, a former French hill station, is located in the north of Vietnam and surrounded by hefty alpine sceneries. Its hills are carpeted in wonderful rice terraces. Also, it a good place for tourists to learn more about the hill tribes living in that area, most notably the Red Dzao and Hmong. In Sapa, trekking and hiking are popular and village homestay could be arranged. 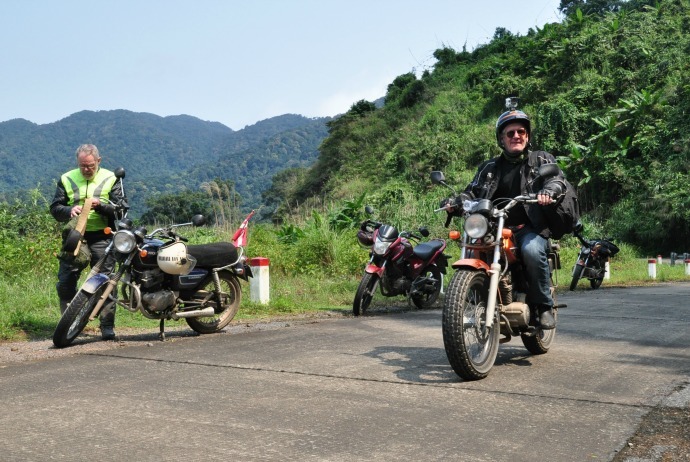 Motorbike hire in very easily arranged in many areas of Vietnam. This vehicles used are commonly Russian-made 125c Minsk. Many tourists ride the full distance from Hanoi to Ho Chi Minh City using such vehicles. Despite this form of traveling may come with some sorts of dangers, it is still an interesting way to see the country. 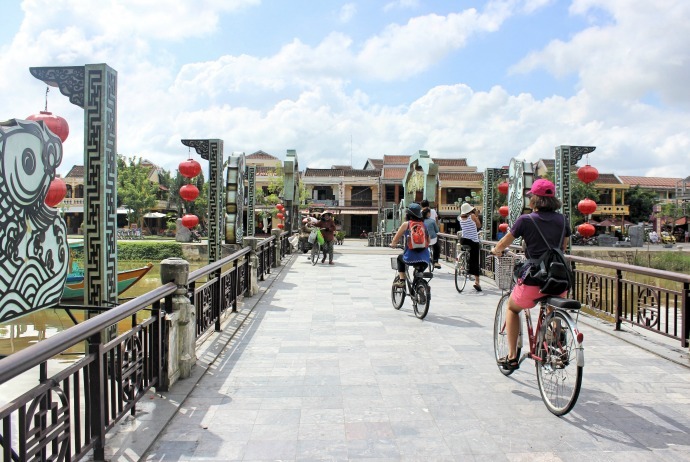 Used to be the former imperial city, Hue is filled with wonderful sights and great things to do. In Hue, the imposing Imperial Citadel is slowly being renovated. Meanwhile, down at the riverside, tourists will find Thien Mu (Thiên Mụ) Pagoda, where the novice monks will peek shyly at the tourists, and a few mausoleums of Emperors, each one in unique style. Vietnam has a significant number of beautiful beaches and Nha Trang is one of the most famous. This is a harmony combination of palm-lined, wide sands and bar-lined, lively town. Here, you can take boat trips to head to the nearby islands as well as coral reefs. As an alternative, think of Vung Tau which also offers superb snorkeling. Mui Ne is another beach which is ideal for adrenaline thrills and surfing. The most famous brand of railway in Vietnam is so-called Reunification Express which runs almost the length of the whole country, from the capital Hanoi (Hà Nội) to Ho Chi Minh City. It may take from 30 to 40 hours to transfer between two cities. The popular route is from Hanoi to Hue, taking 18 hours. 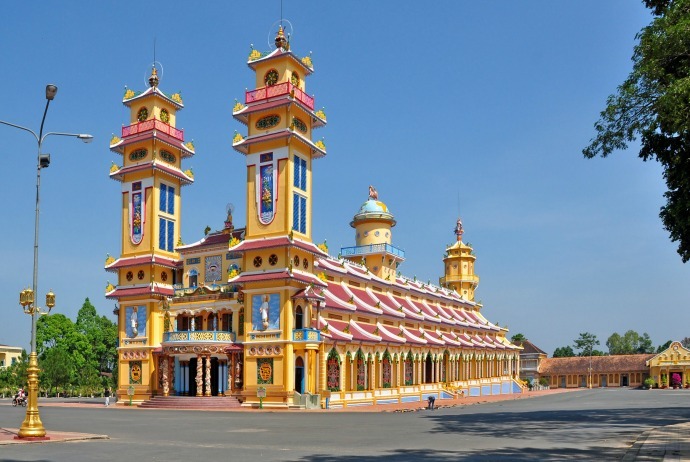 Located in Tay Ninh (Tây Ninh) Province, Cao Dai Temple is large and Disney-esque in style. When visiting here, you will see the followers wearing blue, red, and yellow who robe and chant to the accompaniment of traditional orchestra. It saints are Buddha, Joan of Arc, Christ, and Victor Hugo. Vietnam’s food could be astonishingly good. You can learn the subtleties of Vietnamese cuisine by taking part in a cookery class. Before heading to the kitchen, you will be instructed to go to the local market to buy necessary ingredients. 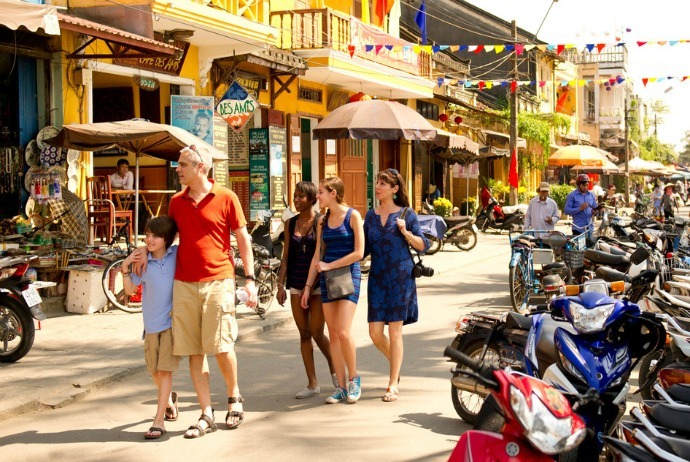 Ho Chi Minh City and Hoi An are all good destinations for tourists to try.